The busy lives we all lead can make it difficult to fit our favourite TV shows into our leisure time. Nobody wants to be a couch potato but it’s a pain when you miss a show that everyone else is talking about because you were away from home or on the move. That is what makes TVPlayer so useful. TVPlayer is a live streaming service that allows users to watch TV from their laptop, phone or tablet. There are 106 channels currently available, 29 of which are premium channels not available on Freeview. This includes BBC, ITV Channel 4, Channel 5, UKTV, MTV, Eurosport, Comedy Central, Turner, Nickelodeon, Box Television, Capital TV, Fashion TV and QVC. The app is available for Android, iOS and has recently been introduced for Windows devices or if you’re staying home you can use it to watch on Amazon Fire TV, Apple TV or EE TV. The great thing about TVPlayer is that all the channels are in one place and you can watch the shows live, making it a better choice than, for example, BBC iPlayer which only shows BBC channels live. For £5.99 a month or £59.99 a year you can upgrade to view the premium channels or for £1.99 a month you can remove the ads from the site. Another feature is the On Demand service which shows a selection of the premium service TV shows from the last month for a limited time. 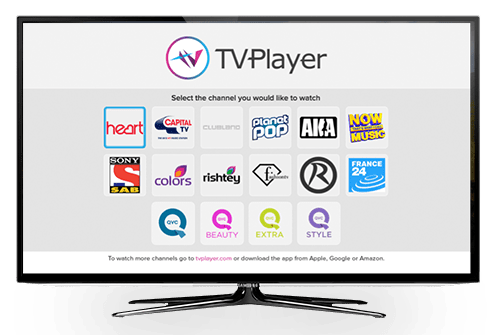 Here at OxGadgets we were given the chance to try out the service for ourselves and we used an iPhone, Kindle Fire tablet and the website to get to grips with TV Player on a variety of devices. The iPhone app only claimed 29.3MB of storage space which is slightly less than the My5 app which claims over 33MB. The site and apps are clearly constructed and easy to navigate. The white background on the site makes it clean, attractive and easier on the eyes than some other on demand sites’ dark backgrounds. Signing up for an account is easy to do and so far, since signing up there have been no promotional emails forwarded from the service. The choice of channels and quality of streaming was superb and the only improvement that could possibly be made is allowing viewers to close the browser and re-start a show in the exact place where they finished. If this is currently available, it wasn’t possible for our tester to discover how to do it. The service is great overall it is a worthwhile investment if you like to watch TV on the move. It would be handy for lunchbreaks spent in the office, short breaks and for students who are living away from home. It’s also useful for those who want more than Freeview but without the price tag that some satellite packages carry. To read more about the service you can visit here. 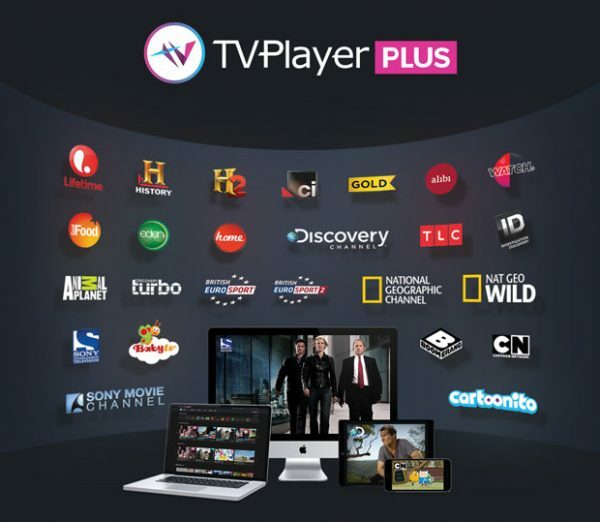 To read about the TVPlayer Plus premium channel service, you can visit here.